A Boeing 737 airliner from Cuba's state airline Cubana de Aviacion has crashed and exploded near Jose Marti International Airport in Havana, Cuban media report. 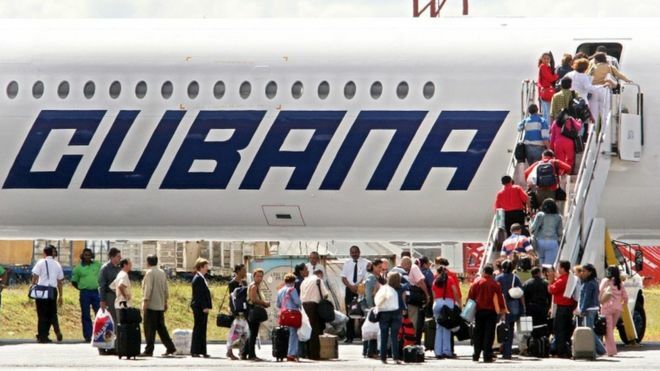 Radio Habana Cuba said it was an internal flight from the Cuban capital to Holguin, in the east of the island. Witnesses told AFP news agency they could see a thick column of smoke near the airport. Fire crews are reported to be at the scene.